July 1, 2018--I recently read or heard about using little plastic clips as thread management tools (to keep thread spaghetti neatly out of the way of stitching, etc.) and thought I would give it a try. I understand the clips were glued to magnets, so I tried that--FAIL. 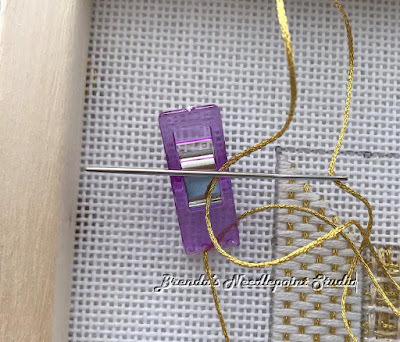 They were unwieldly when trying to hold the clip open to pull thread tightly into the clip before closing. Then the clip came unglued from the magnet and everything flew all over the place. Solution: Since the clips themselves have a little metal piece on their underside, I used a powerful little magnet (the kind purchased from a hardware store) on the backside of the canvas to hold the clip. Now it's much easier to open and close the clip and the metal piece on the clip's front doubles as a needle minder. SUCCESS. 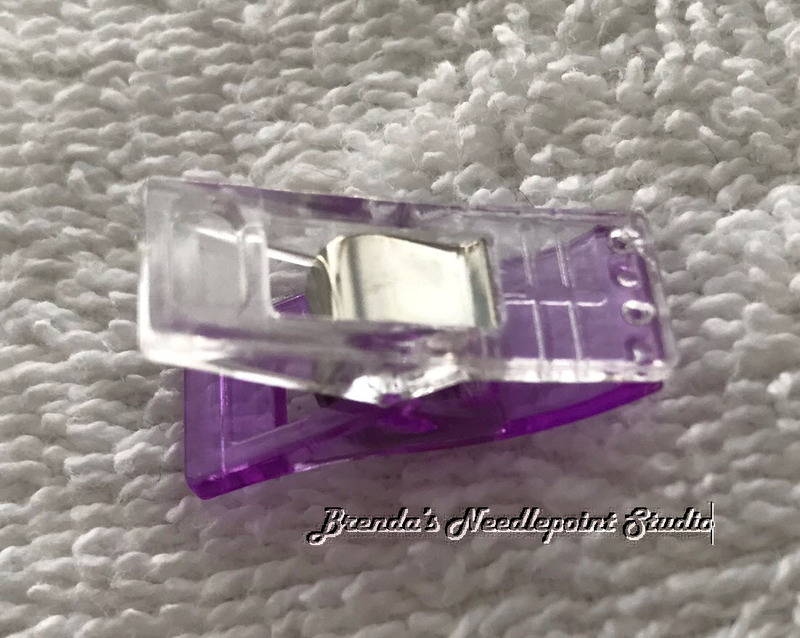 Back of Clip Showing Magnetic Metal Piece.